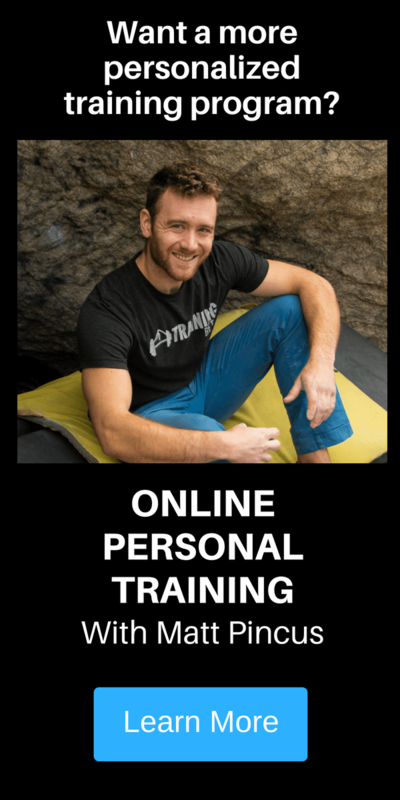 The Bouldering Strength and Power program is a subscription service by Kris Peters that’s perfect for boulderers of all abilities who want a challenging, structured, and fun training plan to follow. It’s a well-laid-out, easy-to-follow weekly program with 3 new workouts for you every week. It allows climbers of all levels to get a hard and specific workout that will target finger strength, power endurance, power, shoulders, core, and overall fitness. With the three day-a-week training plan, you will have two days a week of climbing specific training on the bouldering wall, one day a week of finger training or campusing, and multiple fitness & strength workouts throughout that will target specific muscles that will help you climb harder and avoid injury. 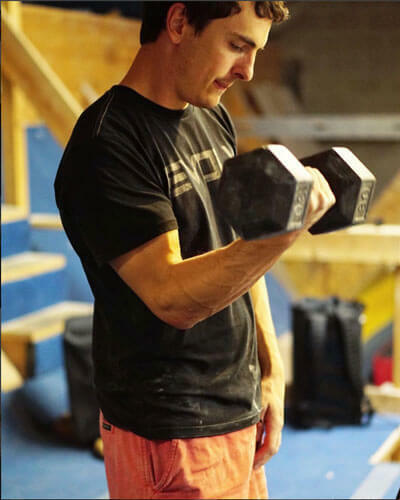 Below are some of the most commonly asked questions about the Bouldering Strength and Power Program. If you’d like to sign up for the program, just go to the Bouldering Strength and Power Program page. 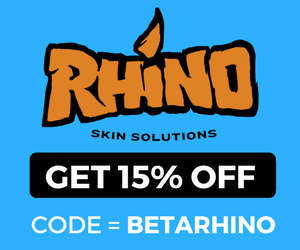 If you have other questions, you’re welcome to email us at info@trainingbeta.com. Will I be training power, power endurance, finger strength, or...? The symbols above each workout denote what type of climbing workout you’re in for that day. There may be other types of training thrown in beyond your climbing workout, though. For instance, you might do 4×4’s (power endurance) and then do some cardio for general fitness. 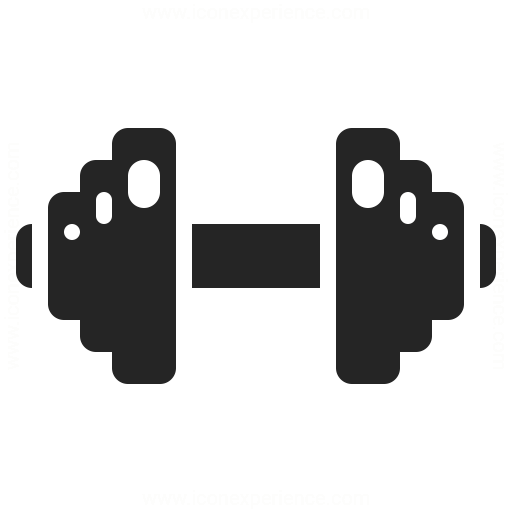 If you’re doing a workout with this bulging biceps icon, it’s a power workout. That means you’ll be training explosive moves, and not very many of them in a row. This is to train your all-out max ability to recruit your muscles and tendons so you can send those hard boulder problems. Exercises include lifting heavy weights at low reps, doing a few very hard moves in a row, or campusing. If you’re doing a workout with the throbbing forearm icon, it’s a power endurance workout. As opposed to a power workout, you’ll be doing more reps with lighter weights or easier moves. This improves your ability to hang on to harder holds for a longer time, even through a pump. It’ll also improve your overall fitness as an athlete. Exercises include 4×4’s on boulder problems that are 2-4 grades lower than your max, or as many pull ups as you can do in 2 minutes – fun stuff like that. If you’re doing a workout with the crimping fingers icon, it’s a finger strength workout. One of our biggest assets as climbers is the strength of our fingers, and these workouts will help you out in that department. You’ll be working on the fingerboard (aka hangboard) using various holds, hanging on them (or crimping on them sometimes) for a certain period of time, for a certain number of sets and reps. Put on your “get psyched” playlist cuz you’re gonna need it. Is there strength training involved in this program? Strength training is basically anything that involves fewer than 10 reps in a set, which includes some of the climbing drills, some of the supplemental exercises, and definitely the finger strength days. Most of the strength training you want to do for climbing revolves around finger strength and pull ups, and there is definitely a lot of that. It’s also important to strengthen the opposition muscles in climbing so that we’re well balanced athletes and avoid injuries. That means presses, push ups, and all shoulder strengthening exercises, which there are many of in this program. You can rest assured that you’ll become a stronger, more balanced, and less injury-prone climber due to the strength training in this program. How many days a week am I training? We’ll give you 3 days of dedicated training every week except for rest weeks (every 7th week is a rest week). If you want to climb more than that, you’re welcome to, but we think that 3 days a week of hard training (with weights and fingerboarding and all that) is enough for anyone who isn’t superman. They take anywhere from 1 to 2.5 hours, depending on how many sets you choose to do of each exercise, and how much time you have available. I don't have a ton of time to train. Do I have to do all 3 days of training? No, you can do as many or as few of the training days as you want, or as your schedule allows. We understand that not everyone has time to train 3 days a week and then climb outside sometimes, as well. Our philosophy is that some training is better than no training, so if you can only do 1 day in the gym per week, so be it. This program is meant to be a template for you. If that template works perfectly for you, then awesome. If you need to tweak it, we totally expect that. We think people do better at attaining their goals when they have a plan in their hands, and this is your weekly/monthly/yearly plan. When do I get the new workouts every week? When you sign up, you’ll get your first week’s worth of workouts right away. They’ll be in your dashboard, which you have to login to the site to access. You’ll get your new workouts for the next week 6 days later so you have time to look them over before you begin the next week. So for instance, if you sign up on a Thursday, you’ll get access to your first week’s workouts that day. Then the following Wednesday, you’ll get access to the next week’s workouts (as well as the last week’s workouts). After that, your workouts will be stored in your dashboard and you’ll always have access to the last four weeks’ worth of workouts. Where will my new workouts be located? Your workouts from the last 6 weeks can always be found in your dashboard at www.trainingbeta.com/dashboard. You’ll need to login and be a current paying member in order to access the dashboard. That depends on whether you’re trying to climb hard outside at the moment or not. Then consider cutting down the workouts to 1 or 2 per week during the weekdays, and then climb hard outside during the weekend. If you’re just going to do one day of climbing during the week, do one fingerboard/campus board workout and warm up by climbing up to 2 grades below your limit. Do this preferably on Tuesday or Wednesday so you have plenty of time to recover for the weekend. If you’re going to do 2 days during the week, then do 1 fingerboard/campus board workout and one climbing workout on maybe Tuesday and Wednesday, or Tuesday and Thursday during the week. Do the fingerboard/campus board workout on the first training day during the week so you have plenty of time to recover before the weekend. If you insist on doing all the workouts during the week, then do one day of climbing on Monday, rest one day and do the fingerboard/campus board workout on Wednesday, and climb again on Thursday. That way you at least have 1 day of rest before the weekend. Then schedule the 3 workouts whenever you can fit them in your schedule while making sure you get enough rest. You want to have at least 1 day of rest on either side of your fingerboard/campus board workout, so that’s really the only defining rule. Maybe do a climbing day on Monday, a fingerboard/campus board day on Thursday, and a climbing day on Saturday. Or something along those lines. Is this only for boulderers or would route climbers benefit from it, too? 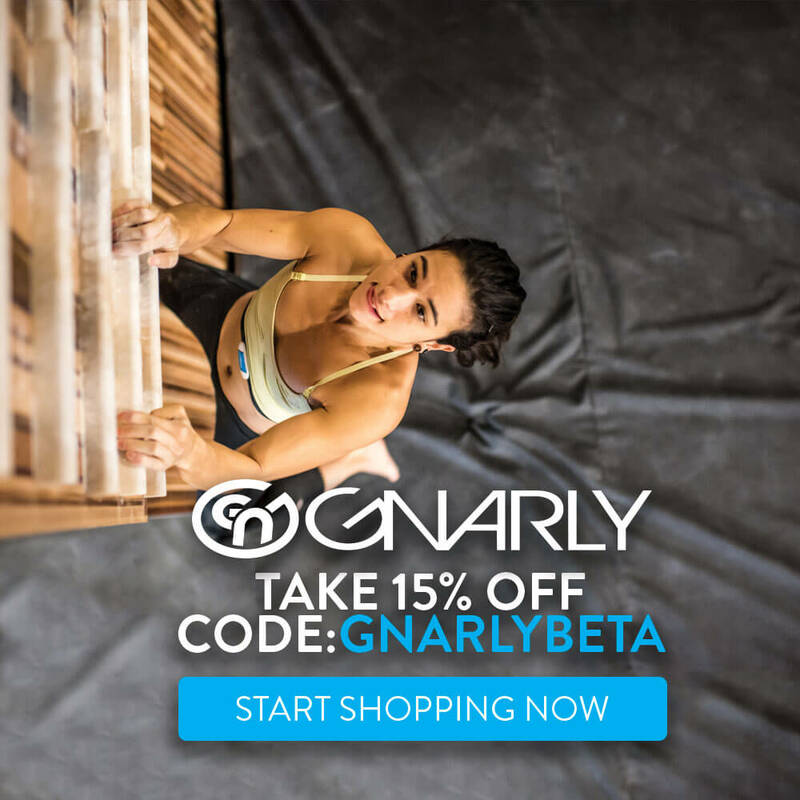 We’re sure route climbers would benefit from this program because whenever you improve your strength, power, and power endurance, you’re improving your overall climbing ability, and that’s what this program trains. But this program is built to accommodate boulderers who climb and train pretty exclusively on a bouldering wall and boulders. Our Route Climbing Training Program can be found here: www.trainingbeta.com/route-climbing-training-program. At various intervals throughout the program, you’ll be given a few different fitness challenges, which are meant to track your progress. We’ll instruct you to record your results from those challenges so you can look back and see how much you’ve improved over time. In general, though, you’ll start to see improvements in your ability to recover, climb more difficult problems in a session, and more of them in a row. We recommend keeping notes in a journal, on your “notes” app in your phone, or in an online journal app. If you find a good one for climbing, please let us know at info@trainingbeta.com – we’d love to hear about it! How much climbing is in this program? You get 2 days of climbing specific workouts and 1 finger strength or 1 power workout every week. The other exercises take place on all 3 days, including weighted exercises, body weight exercises, and cardio. If you’re not keen on the cardio, there’s a Q&A on that to come. What if I'm going on vacation or a climbing trip soon? If you have to skip a week of training, you have to skip a week of training. It’s the same thing if you’re going on a climbing trip – you just skip that week of training. And to boot, you should taper down your training the week before so you’re well rested for your trip! If you want to pause your dashboard so it doesn’t move ahead while you’re gone, there’s an option to do that in the My Account area when you’re logged in. How long should I stay on this program? You can stay on this training program for as long as your heart desires. You can you use this program as a template, adding and removing workouts as you see fit, or you could do these workouts to a tee every single week like a baller. Whatever you do, you can use them as your inspiration every training day to get in there and do something productive with yourself at the gym. This program will be available for you for months and years to come, so stay on it as long as you’d like. And let us know how you do! It depends on how long you follow it and how precisely you follow it. If you just take it easy on yourself and don’t do many of the sets and miss workouts every week, your progress will obviously be slower than if you were to push yourself hard and stick with the plan. Having said that, you could conceivably take your climbing up a number grade or 2 within a couple months on this program, especially if your max ability is below V6. Campus-Board preferably with half rungs (we recommend this set of 2-small, 2-medium, and 2-large rungs). If you buy 5 sets you should have enough to build a campus board. What if I don't have a piece of equipment I'm supposed to have? If you don’t have something, then we strongly suggest you go out and get it. None of these things is super expensive and Amazon makes it really easy to get anything you need. Alternatively, if your gym doesn’t have a piece of equipment, you could sweetly request that they get it and send them the links we provided above so they can get the best kind. If you just can’t swing it or your gym isn’t willing to buy a piece of equipment, then just do your best to replicate the exercise in another way. What should I be eating for optimal recovery and strength gains? You should be eating a balanced diet (meaning plenty of carbs, protein (preferably animal protein), and healthy fats) made of whole foods in order to support your body as well as you can. Eating a lot of straight-from-the-earth veggies, fruits, meats, eggs, nuts, seeds, rice, potatoes, quinoa, and good stuff like that will not only give you the energy you need to perform and recover, but it’ll also help keep inflammation at bay. 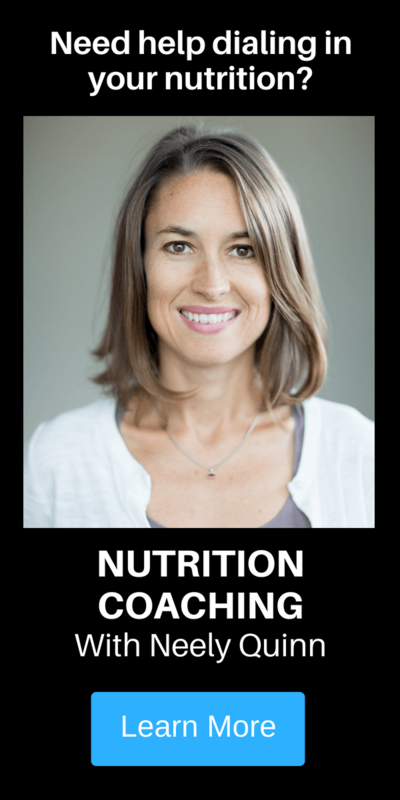 Aicacia Young of ClimbHealthy.com wrote an ebook called Rock Climbing Nutrition: The Essential Food Guide for Climbers, and it’s helped a lot of climbers get on track with their diet in a very easy-to-understand way. You can get that book on TrainingBeta here. How will I know how to do all of the exercises? Many of the exercises are common, so you’ve probably done at least a handful of them before. However, we’ve provided you with videos or detailed instructions for how to do every exercise in this program. You should have no problem doing the exercises properly. What if I want to climb outside? Where does that fit in? You should climb outside as often as you want – it’s totally encouraged. Everyone is different in their schedules and their requirements for rest days, so you’ll need to figure out how many days a week is best for you to climb. Since this is an ongoing program, you might use these workouts 3 days a week during the winter and then only 1 or 2 in the fall during prime climbing season (or vice versa depending on what your seasons look like). And that’s totally fine. These workouts are here to support you in getting stronger, but if climbing outside is making you happy and taking the place of some of the climbing days we’ve laid out for you, then good for you. If you’re a weekend warrior, try to do the fingerboard or campus workout (whichever it is that week) on Tuesday and then one of the climbing workouts on Thursday, then climb outside on the weekends. If that’s too much, just do one of those workouts during the week – maybe on Wednesday instead to give yourself more rest days. How should I expect to feel while doing this program? If you haven’t been doing workouts like these regularly, you should expect to feel tired for the first two weeks or so. It might take a toll on your climbing performance, but don’t worry: your body will start to be able to do more work for longer periods of time. That’s the goal of this program, after all. But listen to your body and give yourself rest when it needs it, even if it means you skip workouts here and there. Make sure you sleep 8 hours a night, drink lots of water, and eat plenty of protein and healthy carbs for recovery. Should I really do this all year long? If you feel healthy, uninjured, and psyched, then yes! It all depends on you. We’re providing you with the tools to train all year, but if you’re not psyched on climbing for a month or two, or a week or two here and there, then by all means take a break. We all get sick of it sometimes, so it’s totally ok.
We work a week of rest into the program every 7 weeks–every 7th week is a rest week–which just means we suggest you take a week off from training – not necessarily climbing. If you want that week off of climbing and you feel like your body could use it, then by all means just lie around watching the Bachelor all week. Rest will help you stay psyched, recover well, get stronger, and stay injury free. Please take those weeks and actually give yourself a break. How strong do I have to be to do this program? This program is for any level of climber because it is so scalable. Having said that, you’ll have a more fun time doing this program if you can climb at least V2. Having said THAT, you will definitely work your way up to that level doing all of the strength training and bouldering in this program if you’re not there yet. Can I also do routes while I'm doing this program? If you’re trying to improve your bouldering game, doing routes is not a bad idea at all. It’ll help increase vascularity (endurance) and your mental ability to keep holding on even after you’re tired. But if you’re trying to improve your bouldering ability, you definitely need to focus on bouldering. If you really want to keep doing routes, we suggest you do 1 or 2 full day of routes or maybe just warm up on routes for your bouldering training days if you have that luxury in your gym. Any more than 1 or 2 days of routes and you’d be doing 5-6 days of training every week, and that’s just a LOT of climbing for anyone, especially given that your bouldering days will be so intense. Another option is of course to switch out one of your bouldering days for a route climbing session and do the strength training/fitness portion we suggest for the bouldering day. Hope that makes sense. Should I climb on days outside of this program? Sure, a lot of people climb more than 3 days a week. Make those other days fun days where you do what you want, inside or outside, so that climbing doesn’t become a job or a chore for you. But definitely listen to your body. These workouts can be intense, so if you need rest, take some rest! How long will it take to see results in my climbing? Here’s the deal with the cardio. Kris deals with a lot of people who are physically just downright unfit. They can’t run a mile without feeling like they’re going to pass out, and it takes them over 10 minutes to do it. Having a low level of fitness will not help your climbing, and working on your overall fitness will make you able to deal with doing more climbing in a day and push through being in pain (the good kind) so you can try harder in general. If you’re super physically fit already, then skip the cardio or just do what you normally do for it. Daniel Woods is not a runner, but Kris has watched him crush the treadmill at the gym. He’s super fit and it shows in his climbing. That means that Kris isn’t worried about having him run 3 days a week, or ever. If you have a base level of fitness, meaning you can walk up hills with a pack on, or jog comfortably for a mile, or ride your bike across town at a good pace without huffing and puffing, then skip it. I'm not super strong (yet) - how do I modify the exercises to fit me? The program will actually tell you how to make exercises easier or harder. For instance, on the campus board, you can put your feet on the footholds and do the moves, or you’ll be instructed just to deadhang. For pull-ups, we’ll show you how to do negative pull-ups or jumping pull-ups so you can work up to the real thing. I have an injury. Should I still do this program? That depends on what kind of injury you have. If you have an upper body injury (shoulder, neck, ribs, collarbone, elbow), then that might be a no. You can’t heal those kinds of things when you’re training hard, and you will be training hard with this program. If you’re on the tail end of healing one of those injuries, then take this very slowly and work your way up to doing all the workouts every week. Listen to your body and if you feel sharp pain, stop. If you have a finger injury, sometimes you can get away with buddy taping your finger, and sometimes these exercises won’t hurt your finger at all. Pull-ups and ring work can often be done with an injured finger (unless it’s really bad), and even the fingerboard exercises can be modified to accommodate an injured finger. Just train the non-injured fingers instead. If you have a sprained ankle, an injured knee, or some other lower body injury, then it’s probably fine to try out a lot of the exercises in this program. There’s a great video of Courtney Woods training with Kris Peters with a broken foot that might be helpful. How do I know if I'm getting enough rest? Typical signs of over-training are fatigue, failing consistently in your workouts (the first couple weeks of this program don’t count, as your body might be adjusting and you may feel tired), insomnia, injuries and general inflammation, feeling grumpy a lot of the time, lack of motivation, lack of recovery, extreme muscle soreness, and even digestive issues. Try to keep in mind that just because Jonathan Siegrist and Daniel Woods can climb 6-7 days a week if they want to, you may not be able to. And that’s ok. Try to keep your ego in check so that you can keep your body intact. If I only have time for 2 workouts in a week, which 2 should I do? Do the finger strength/campus board workout and one of the climbing workouts. You want to do some power or strength training every week, and the fingerboard and campus board workouts are exactly that. Will I be so tired that I can't send my outdoor projects? It’s possible that in the beginning of the program – the first couple weeks – your body will be adjusting to doing more work. So either ease into the program and do 1 workout the first couple weeks, then 2 workouts the second couple of weeks, then finally all 3 if you feel up to it. If you’re climbing during the weekend both days during prime climbing season, then maybe don’t plan to do all 3 workouts during those months. Just do 1 or 2 during the week – maybe on Tuesday and Wednesday or Tuesday and Thursday, and then climb hard on the weekends. Should I do all of the recommended sets of each exercise? How do I cancel my membership or change my credit card info? Kris Peters wrote this training program just for TrainingBeta. He is a climbing trainer and you can learn more about Kris on the About Kris Peters page. If you’d like to sign up for the program, just go to the Bouldering Strength and Power Program page. 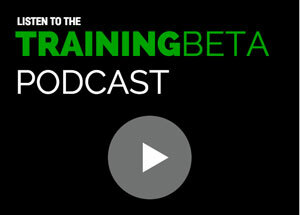 If you have other questions, you’re welcome to email us at info@trainingbeta.com.